CBR Top 100 Comics of 2013: THE FOX is #80! 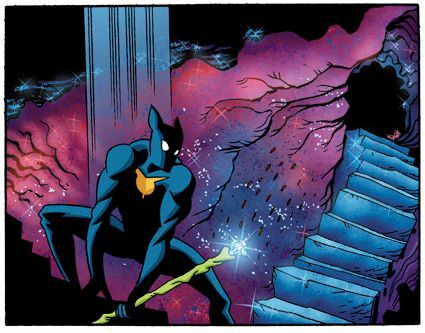 "Dean Haspiel has long flirted with the edges of superhero comics while producing more mainstream literary work, but with 'The Fox' the artist has finally found a capes-and-tights corner to claim as his own, and the results have been outrageously fun. Hanging his hat on the basic concept of a superhero who wants a normal life, Haspiel has turned out page-after-page of Toth-inspired insanity that still retains the brow-beated everyman quality of his more personal work."